Paypal is the world’s most-loved way to pay and get paid. Pay fast. Speed through checkout without retyping your credit card information or even your address. Shop using PayPal on eBay and with thousands of merchants worldwide. * Item will be sent after confirmation of payment. 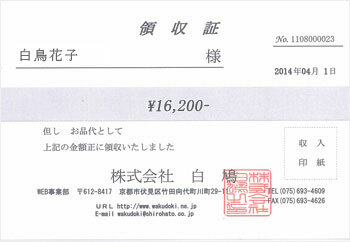 Total price on the auto-sent order-confirmation mail from Rakuten Ichiba may differ from the correct one. Please check the total price on the mail from our shop for the final confirmation. After shipment is made, you will receive a tracking number by e-mail. We will cancel orders when the payments are not done within 3 days from the order placements. All items sent within Japan incur an additional handling fee of 324 Yen (\) when using Paypal. This fee includes tax. In order to proceed with shipment, the registered name and address on PayPal must match that given on the order. Please make sure the information matches. If the name and address of the PayPal account and the order do not match, we cannot proceed with the order. We apologize for the inconvenience and ask for your understanding. Orders shipped abroad will be sent by EMS. The cost of EMS is to be paid by the customer. When placing separate orders, it is not possible to send the orders together in one package.